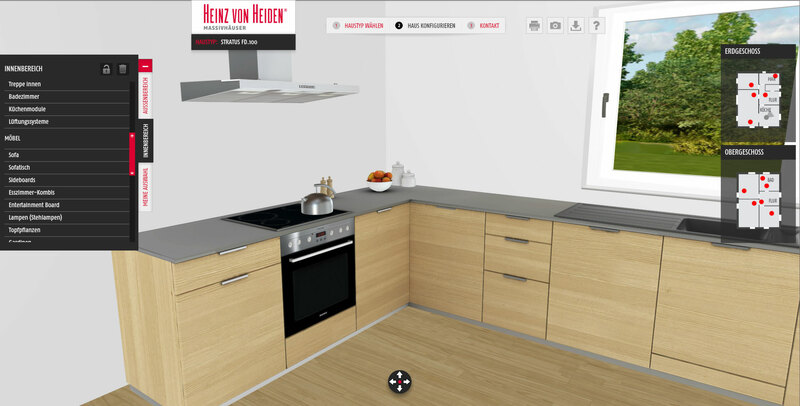 Heinz Von Heiden are amongst the biggest constructors of houses in Germany. 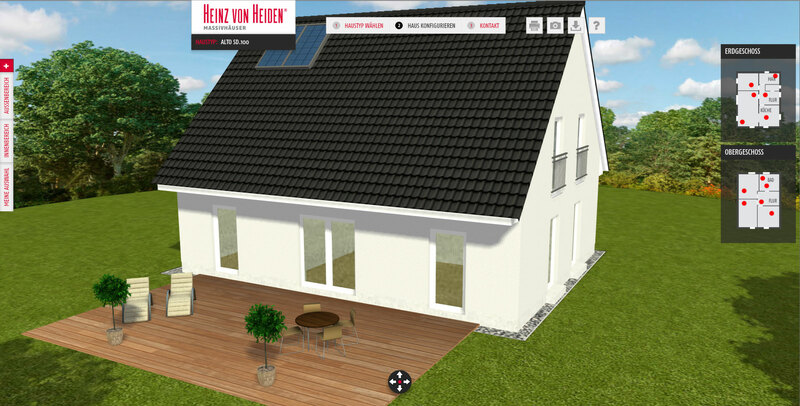 Their architects produce many “system houses”, that is a modular housing design, which allows for highly customised and unique house designs based on standardised basic forms and add ons. 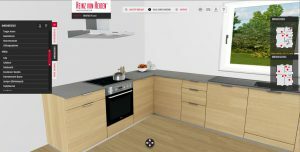 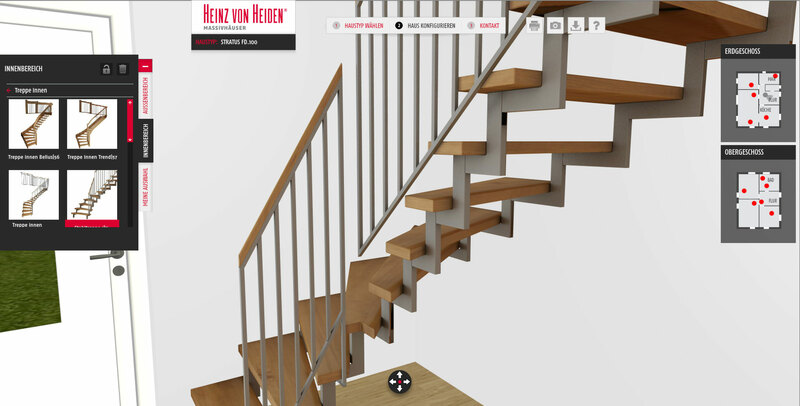 My task was to design an online interface where prospective buyers could choose a basic house design, and then configure the house from a list of predefined components and colours, and at the same time experience their design, in realtime 3D within a standard web browser. This required significant collaboration between myself, as 3D programmer, a 2D designer/programmer, the marketing department, Executive and a Ukrainian team of 3D modellers.